Patagonia Expedition Dispatch: October 27, 2015 – Our First 24 Hours in the Park! October 27, 2015 – Our First 24 Hours in the Park! 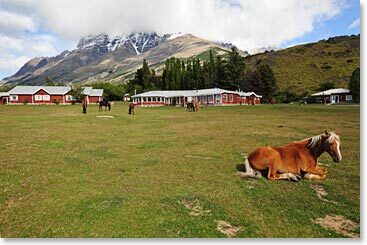 We arrived yesterday into Torres del Paine National park. It is 2:30 pm and this was our first day trekking in this wonderful place. The weather has been beautiful with the expansive blue sky and only a few clouds. 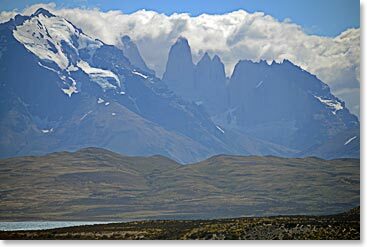 Yesterday we drove from Punta Arenas to Torres del Paine. Yesterday we drove from Punta Arenas to Torres del Paine. After entering the park by the Laguna Amarga gate, we crossed the new bridge to our hotel (opened a couple of years ago). In previous years, the only access to the hotel was an old scary bridge. Groups would have to get out of the van before the driver could take it across. It was always a fun and exciting experience to watch and see if the car would make it. 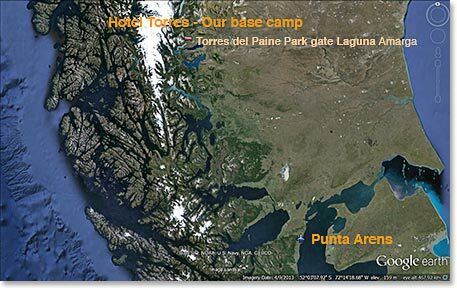 This trip, we got to take the new bridge and arrived at our base camp inside the Park, Hotel Torres. Everyone is doing well and we are relaxing, enjoying the view. One of the most marvelous sights in the world! 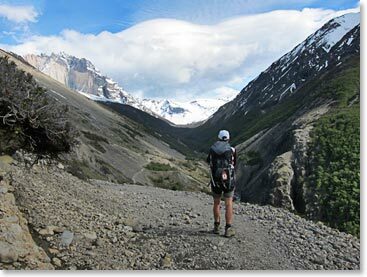 The Torres del Paine are three gigantic monoliths, the remains of a great cirque sheared away by the forces of glacial ice. Our first view of the towers, what an amazing experience! 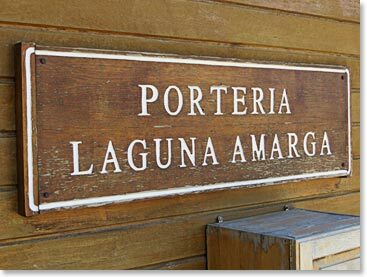 Laguna Amarga Porteria, where we purchased our park permit. Hotel Torres, our base camp inside the park. 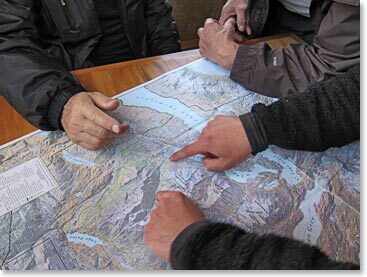 Planning the first leg of our W trek. Here we go, starting our hike – Ascencio Valley. 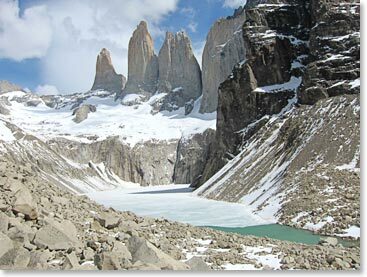 Stunning views of the Towers in Torres del Paine.